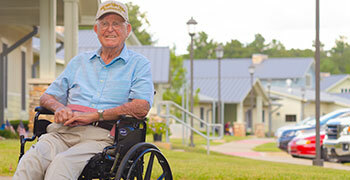 HMR Veterans Services, Inc. has been serving Veterans in State Veteran Homes for over eighteen years. As the needs of our country’s Veterans continue to change, HMRVSI strives to meet every need. HMRVSI provides comprehensive management and support services to State Veterans Homes in four states, serving more than 1800 Veterans on a daily basis. HMRVSI’s years of Veteran-centered experience combined with a shared commitment to quality results have positioned our teams as effective partners with the States that we serve. The unrivaled experience is key to the successful partnerships that we have fostered with South Carolina, Maryland, Alabama, and Texas. While each State is unique in its approach and funding, the guidelines and regulations that govern the operations are consistent. HMRVSI supports each facility in accordance with state and federal guidelines as established by the Centers for Medicare and Medicaid Services, the Code of Federal Regulations and the Veterans Administration Standards. HMRVSI has worked hard to develop comprehensive management services to meet the needs of Veterans. 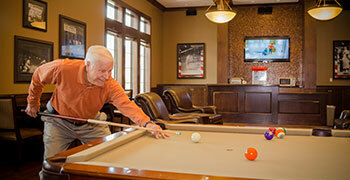 All HMRVSI managed facilities are active members of the National Association of State Veterans Homes and work diligently to remain current with ever-changing guidelines. Many of these changes result in benefits that are afforded to our Veterans, such as support for service-connected disabilities and VA matching funds for facilities to assist in the recruitment and retention of qualified staff. Through valued relationships in our communities and with the State personnel, we are proud to carry out our mission. HMR Veterans Services Inc. offers support and assistance with the following services in State Veteran Homes or other inpatient/resident Veteran care centers. HMR Veterans Services, Inc. offers consulting services for those States in need of a focused review on specific operational areas such as Veteran care, financial performance, risk management, compliance, pharmaceutical services, and employee training and development. HMRVSI consulting services have been successful at identifying opportunities for cost savings, revenue enhancement and improving processes for State Veteran Home operations. Our teams have traveled to all corners of the United States to complete peer reviews or full operational assessments of State Veterans Homes. Please give us a call to discuss your consulting needs. 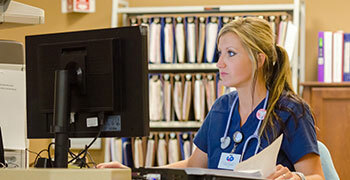 Advancements in technology offer many opportunities to enhance the quality and efficiency of care delivery. Through effective partnerships with leaders in these areas, HMR Veterans Services works to maximize these resources. HMR’s IT team has built a state of the art infrastructure to allow for secure information sharing and retention. 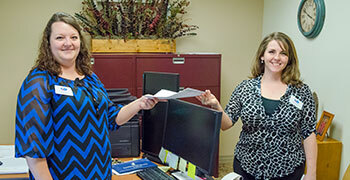 Successful compliance surveys are an integral part of State Veteran Home operations. HMRVSI has a consistently successful track record of compliance and timely response to regulatory changes. HMR Veterans Services is a valuable partner in the preparation for these reviews, better managing the survey process and achieving substantial compliance in response to identified concerns. HMR Veterans Services is a valuable partner in the planning, opening, and Recognition of newly constructed State Veterans Homes. 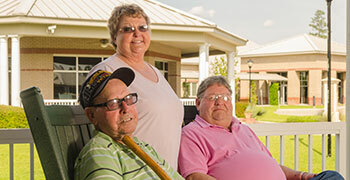 Since 2006, HMRVSI has successfully achieved timely VA Recognition for newly constructed State Veterans Homes. Upon Recognition, State Veterans Homes are able to receive payment of the federal VA per diem for the Veterans that they serve. The financial services team at HMR Veterans Services, Inc. is an excellent resource to assist with the fiscal challenges unique to State Veterans Homes. HMRVSI is experienced in day to day dealings with VA benefits, Medicare coverage, Medicaid coverage, private insurance and the collection of private accounts. Effective payroll management programs and group purchasing programs are also valuable tools for efficient operations. HMR Veterans Services, Inc. places special emphasis on the development of supervisors and managers through specialized leadership training. 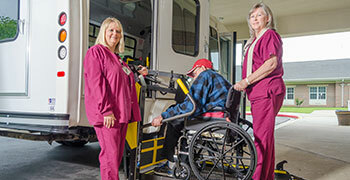 Many HMRVSI managed facilities offer state approved Certified Nursing Assistant training programs onsite. HMR Veterans Services, Inc. understands that State Veterans Homes are built to serve deserving veterans and families. Direct care and ancillary services are optimized when many Veterans are able to be served. HMRVSI works to maintain high occupancy levels with a systematic approach to marketing and community outreach. Higher levels of volunteerism and community support are additional focuses of a HMRVSI driven marketing and community education program. In 2012, the ownership group of HMR Veterans Services created HMRx to serve the unique pharmacy needs of Veterans in State Veterans Homes. 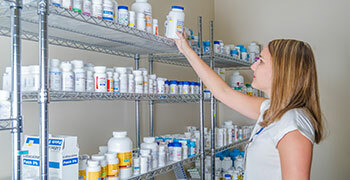 HMRx has worked with facilities to establish on-site pharmacies and pharmacy staff. On-site pharmacies and pharmacists allow for more responsive care, high levels of on-site expertise, and reduced medication errors. HMRx provides states, veterans, and families with the expertise to navigate through VA approved payment sources, service connected benefits, and approved VA formulary drug choices.